What is Amazon Video Uploader? Option 1: Upload 1 video to the main image section of your Amazon product listings. Option 2: Upload as many videos as you want to the related video shorts section of your Amazon product. Is It Crucial to Upload Videos to Your Amazon Listings? As you are aware, a picture is worth a thousand words. A video is worth a thousands of images. From our A/B test, same listing with a high quality video uploaded to the image section converts 3 times better than the one without! High conversion rate is the key to maintain your product on first page of Amazon. Here is an example of a best seller's listing well-optimized with videos. What's the Requirement for Videos? The video MUST be in MP4 format, < 200M in size, < 120s in duration (about 30s ideally). Recommend: High quality and high resolution product promotional video to show the premium quality of your product, and the ways to use it. The video MUST be in MP4 format, < 200M in size. No length limit, but better to be within 5 mins. Recommend: Informational videos from YouTube about your product, teaching people why they need it. Another good idea is to upload customer review videos here. 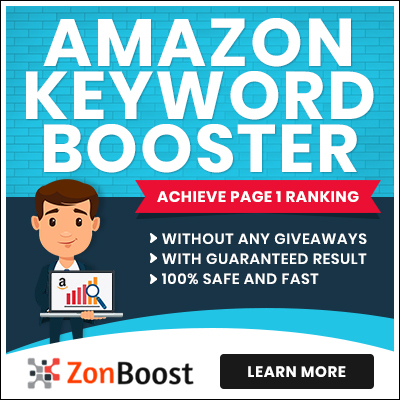 Why Should You Choose ZonBoost for Video Upload? High Quality Buyer Accounts: Videos will be uploaded to the related video shorts with high quality buyer accounts which improves your listing's quality score. 100% Safe Guarantee: We do NOT use Vendor Central to upload videos as that will remove your ownership of the listing which makes you not able to edit any part of the listing anymore. 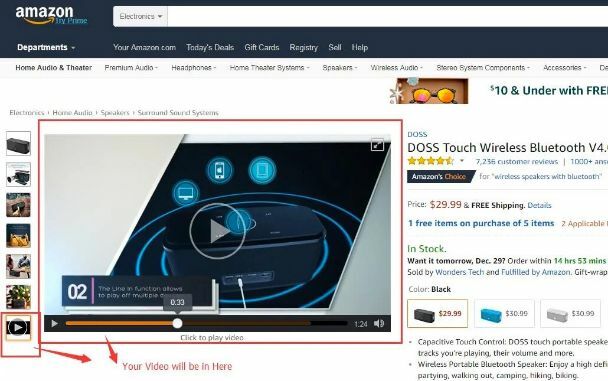 Instead, all videos will be uploaded directly to your listing through Amazon's internal system which is 100% safe and within TOS. What's the next steps after you have a high-converting listing? Vote up your positive Amazon reviews. Remove your negative Amazon reviews.